The usage of the reeling machine is to wind the continuous sheet produced on a paper or board machine onto a spool to produce jumbo rolls called “parent reels” that are prepare for further paper processing. The reeling machine basically is the end of the paper making process. Leizhan is renowned in the paper and pulp industry as a leading manufacturer and exporter for supplying high efficient Reeling Machine. 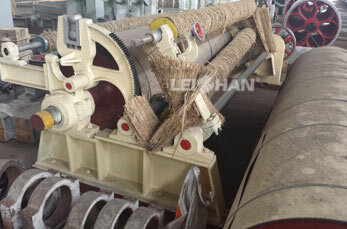 Leizhan tailored reel machine is available for the paper mill in different sizes and specifications. Leizhan supplied reeling machine use high quality components and materials: Cast iron, internal drainage systems, equipped with transmission and paper wire rope. Scraper blade is EP plate. The cylinder body and cylinder cover is HT200, surface hardness of cylinder equals to or over HB190, surface grinding Ra = 0.8.